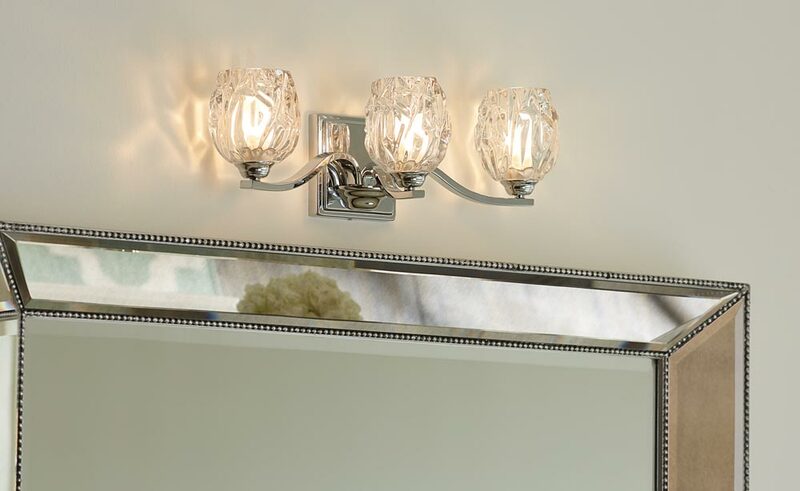 This Feiss Kalli polished chrome 3 Light LED bathroom over mirror wall light with crystal shades is rated IP44 and features glamorous feminine style. Boasting a stepped square wall mount, curved arms and spun shade fitters, with three multi-faceted crystal votive shades that emit a sparkling light. Supplied with energy efficient LED lamp bulbs and can be fitted facing up or down, please see secondary image. 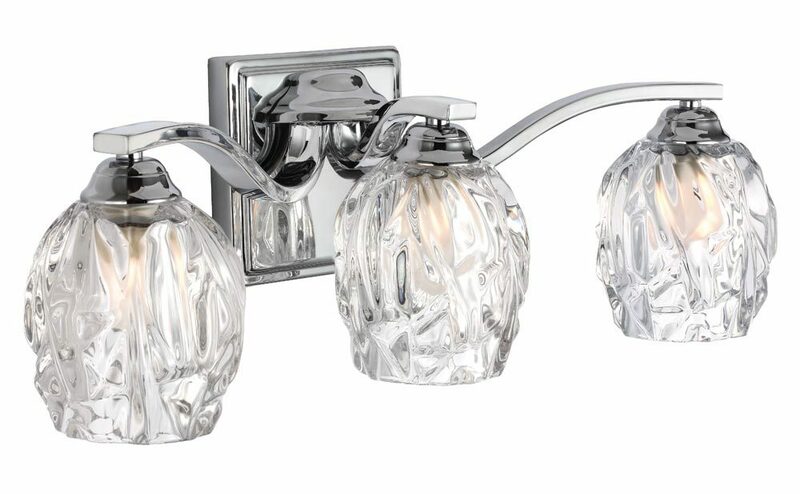 The glamorous Kalli bathroom lighting collection emits soft light, sparkling through thick multi-faceted votive crystal glass shades which rests on the softly flourishing arms. The elegant and feminine aesthetic is grounded with a tailored wall plate to add an extra design detail, ensuring the transitional approach complements a wide array of décors. If you are searching for a quality over mirror wall light to complement your bathroom, the Kalli is certainly one to consider. The smooth, sleek lines are suitable for a contemporary setting, whilst the retro style makes it suitable for traditional and period bathrooms too. Supplied with energy efficient LED lamps, rated IP44, fully splash proof and suitable for bathroom zones 1 and 2. There is a matching single wall light in the Kalli bathroom lighting collection that can be viewed below. This classic light is supplied by Elstead Lighting and designed in the USA by Feiss, founded in New York in 1955. They have become well known over the years for their contemporary yet classic styling, quality and great original designs like the Kalli polished chrome 3 Light LED bathroom over mirror wall light with crystal shades you see here.